First Merry Christmas! We do not have Christmas but still happy, anyway New Year is coming. Finally I have chance get back to develop the screen. PS: this two weeks I am busy on take care of my baby. That should be one of the most hard work in the world. This is the new board I assemble manually. But today is not my lucky day, nothing works on this board, USB is not working, even the LCD backlight is not working either. LCD = data + backlight, data from USB, and backlight from onboard boost DCDC powered by 5V. Hopefully tomorrow once I wake up, the old Santa man have already fixed it. This entry was posted in VoCore on 2017-12-26 by vonger. 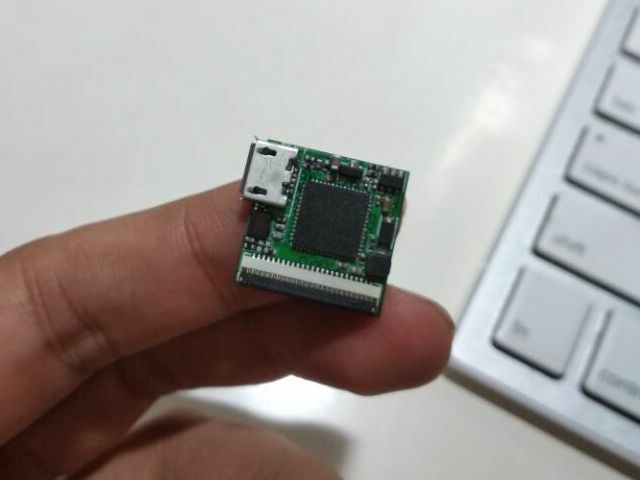 This new wifi driver fix a weird bug of VoCore2 Ultimate. We found using the on board antenna, it will crosstalk to the sound chip, when it play music, we can hear some noise from the radio. But when I am using the new wifi driver, just find the noise disappear! This entry was posted in VoCore on 2017-12-23 by vonger. I have spend a lot of time on this, finally it is working perfect with latest LEDE!! This firmware also enable sniffer/monitor mode for possible fun. This driver is more stable than last time one for Linux 4.5, I have used iperf3 test one hour, average speed is greater than 40Mbps — one on board blue antenna, and over 50Mbps for one external antenna. Of course double external antennas will be much faster. PS: unfortunately, because of MTK NDA, I can not public its source code. This entry was posted in VoCore on 2017-12-10 by vonger. This entry was posted in VoCore on 2017-12-02 by vonger.